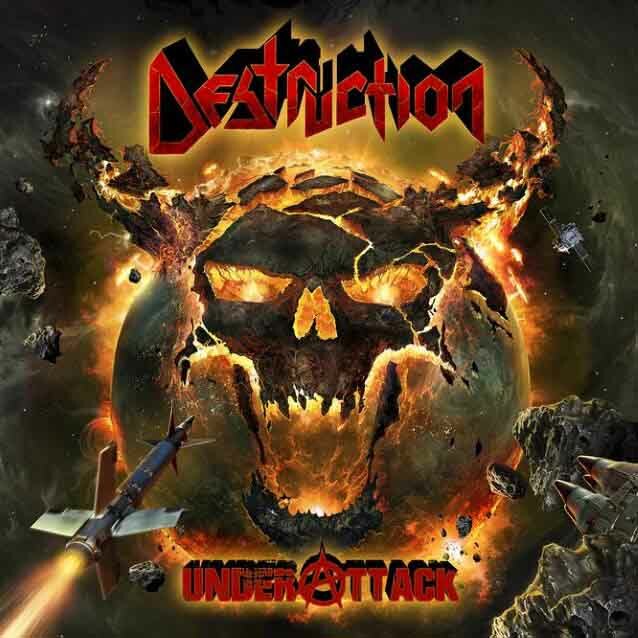 Destruction plans to release their next studio album, Under Attack, on May 13th, 2016; amusingly enough this’ll be their 13th album as well; at least if you count the especially disastrous mid-’90s lineup’s material. “Neo-Destruction”, as they call it these days, is especially important to understanding this band. Its studio work blew up so violently in their faces that it locked the band into the self-referential and especially formulaic route they tread today. Under Attack is unlikely to end that, and the trailer showcases little of the inventive riffcraft and melodic development that made the band influential and interesting in the ’80s, even though the rest of their songwriting eventually fell behind more advanced underground acts. One of the greatest curses of the Internet age is that every kind of garbage can be marketed as “art”. Labels pop out of nowhere only to pump out bad excuses for music; albums not even the people who wrote them can remember a week after they listen to them. 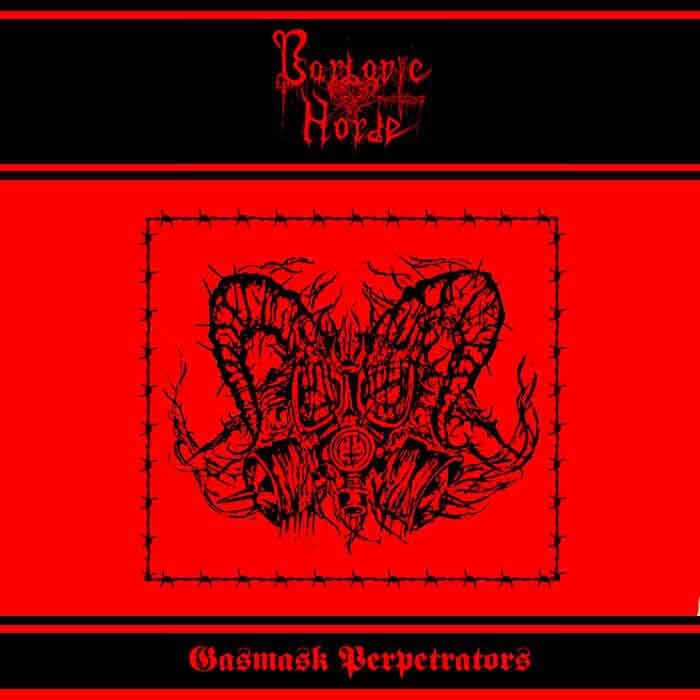 Barbaric Horde’s Gasmask Perpetrators is one such worthless package. While we insist that cliches of music are themselves not the problem, as they only constitute solidified code words of an artistic circle or movement, these really do need to be used to express something unique. What good is a book that has no spirit of its own, no story of its own? What good is an album that plays the same old tropes in exactly the same way with nothing but a mere reproduction of what has come before it? If not for its overall air of mediocrity, Barbaric Horde should be reprimanded for wasting anyone’s time with absolutely nothing but empty statements and pseudo-underground statements. If you believe you are underground so much, then you do not try to be so by emulating the exterior of the sound of what today is known as classic “underground”. If you believe you are truly underground, you stay so by staying hidden, not by imposing your third-rate crap on all of our ears. Anyone who doesn’t understand this is at best a poser deserving of all your elitist contempt. 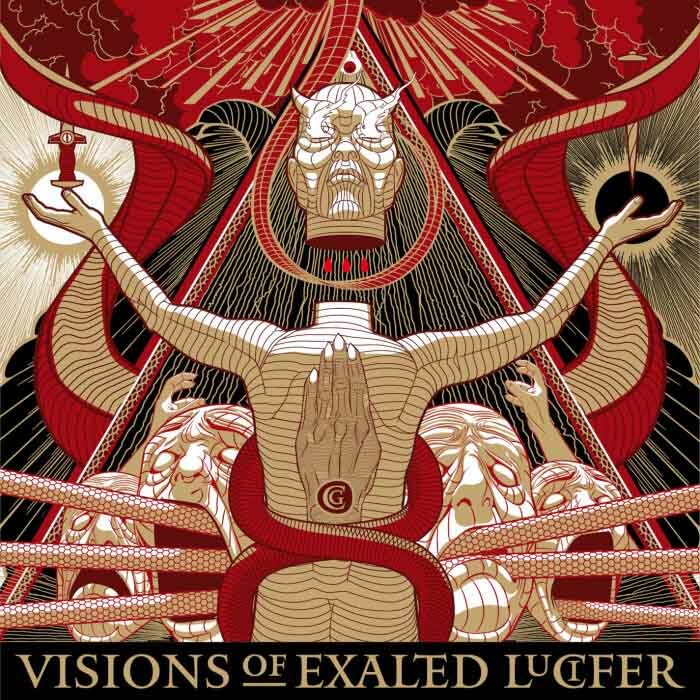 We’ve covered Cirith Gorgor’s latest album several times now, but only today has Visions of Exalted Lucifer officially released to the public. According to the band’s official website, it’s available in several formats, including a 2-CD digibook that also contains the band’s 1997 Mystic Legends… demo. It should keep Dutch black metal fans sated until the release of Sammath’s upcoming album later this year. Relapse Records and Incantation both recently announced through their various websites (including Incantation’s official page) that Incantation is rejoining Relapse’s roster. 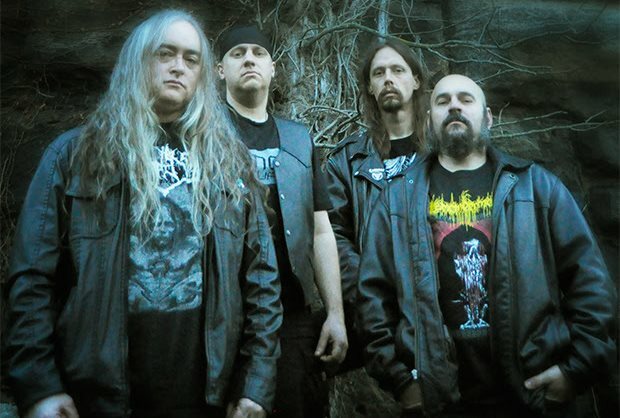 Incantation’s most recent studio albums (including 2014’s Dirges of Elysium) had been released through Listenable Records; this change of record labels coincides with the band’s upcoming album, which is currently being recorded at the band’s own studio. Incantation will also be touring Europe in April alongside Morgoth, Darkrise, and Omophagia, as well as playing the Czech “Obscene Extreme Festival”. Hopefully, the new album will not be afflicted the “tiredness” a DMU contributor saw in the band’s recent studio work. The folks at Nihilistic Holocaust webzine recently uploaded a rare cassette interview that an unknown fan or journalist managed to score with Quorthon of Bathory. To my understanding, while there’s a reasonable amount of historical documentation of early underground metal, a lot of it is locked away in unscanned fan magazines, unpreserved recordings, and so forth. It’s always interesting when someone unearths these documents. This specific interview showcases Quorthon documenting his experiences touring, working with Black Mark Productions, releasing various albums and so forth. Definitely worth your time if you have a spare 15 minutes. While a hessian might rightful sneer at the mainstream idea of metal music being the result of unsatisfied teenagers, Ragnar Bragason has created in Málmhaus (Metalhead) an accurate depiction of the sad reality faced by many first-world kids that are emotionally neglected by their parents. It seems that there are two main elements needed to be present for an alienated teenager to turn to metal as a refuge under these conditions. The first is that metal music be available in his range of perception in one way or other. Secondly, and more often than not, the minds that are most receptive to this art of dark tones lean towards a romantic disposition1. After portraying the death of main protagonist Hera’s older brother, Bragason proceeds to tell us how the girl takes refuge in adopting his image and diving head-first into his metal persona. As she grows into a young adult, Hera becomes increasingly conflictive, to the point that she goes out of her way to create trouble for its own sake. Most of the movie at this point is a big tantrum with a few scenes in which the main character is writing and recording some angsty rock with harsh vocals. Basically, for Bragason extreme underground metal is virtually indistinguishable from emo rock at its core and motivating sentiment. Aside from these outsider misconceptions, Málmhaus is a pleasant movie to watch with patient pacing that does not drag, convincing acting and a desolate feeling that only Nordic (and perhaps Slavic) settings really produce and which is more than suitable as backdrop for a metal scenery. Furthermore, and unfortunately for the metal movement, this picture of the pseudo-metal emo-poser is not at odds with the reality of many would be musicians in the medium. In this respect, the movie is objectively deserving. You may be wondering what beef I would have with this idea if the movie is in fact revealing a truthful picture of the scene. The answer is that metal art that most accurately and authentically reflects transcendental metal ideals are those produced by strong minds with a realist mentality. The emo posers in question usually produce music that is a thin veneer of emotionally outspoken yet ultimately safe and empty hogwash. From the outside, the product of the poser mind is similar to that of the authentic metal artist, because the imitator will always try to look like their idols on the exterior, but without becoming a threat to the society it claims to oppose. A true metal artist, however, represents a threat. True metal is not an agent of social change. It is a rejection of social norms. True metal is not protest music that seeks to “create conscience”. It is the proud sneering of nihilists who see above and beyond the trappings of human convention. However, metal does not seek to destroy traditions but rather to exalt their realist underpinnings. It is not about destroying what is, because metal is realism, but rather about getting rid of the meta-reality created by humans who need an illusion to feel safe. Safe from uncertainty, safe from evil, safe from death. Those making deconstructionist garbage music with the excuse of “destroying conventions” miss the point altogether. Yes, metal has evolved through innovation, but in a natural away in which the newly created sound is a construction and a depuration, not a musical negation, which by definition cannot be about anything because it attempts to be about something that is not, a mere abstract and near all-encompassing generalization that can never attain a definite form. This is why metal today needs to stop trying to be new and different. This is why it also needs to stop being a mere superficial rehashing of past formulas. To reject musical convention or imitate it has never been the point. Black Sabbath gave birth to new music as it painted a stark picture that opposed flower power through its own being, but they were not defined by the latter’s non-being. New musicians need to start creating tradition, instead of attempting to dissolve it or trying to be what something else is not. Moreover, metal today needs to continue classic metal tradition if it is to be metal at all. Rejecting said tradition would essentially imply not being metal. Death and black metal were jewels of their own time, as movements they were one of a kind and today they are, for all intents and purposes, dead, as the conditions that created and propelled them are not present today2. This does not mean that a new generation metalheads cannot be inspired and learn from it, in fact, they should. But this is the same as being inspired by Mozart or Wagner: it never calls for a copy-paste application of their surface traits. One could describe the climaxing trilogy of Burzum3 as a concoction of Tolkien-filtered Destruction and Dead Can Dance4. But we may clearly observe that Vikernes never sought to suppress these influences nor did he try to simply make updated versions of them; he created something completely new with ideas produced from his own digestion. Part of the beauty of Burzum is how self-contained it is despite its borrowings in technique and method. Vikernes’ successfully-achieved objective in Burzum was the mystical recreation of the experience of reaching out to the ancestral knowledge ingrained genetically within the unconscious. Immolation may serve as a different kind of example as they come from a background in early U.S. death metal from the north-east. Some say that Immolation is deconstructionist, but this is based on superficial impressions of the music, which is mistakenly considered atonal by laymen (most metalheads) who have never even heard truly atonal music. Immolation’s music is modal, but heavily emphasizes dissonant intervals as well as diminished and augmented arpeggios. In the long haul, Immolation’s approach is pretty much standard and proper death metal5 with a very unique approach to melody and an exertion of crucial control in the rhythm section. Towards the end of Málmhaus, Hera goes through a period of introspection and redefinition after which she is understood not only by her parents but also by her whole community. She even participates in the rebuilding the church that she burned down earlier in the movie. She is no longer a threat. She even plays an alternative rock version of her “black metal” demo for the people in her little town. The wolf has been turned into the whimpering dog. One of the main problems faced by metal today is that it no longer boasts of the outsider status enjoyed by its predecessors. A condition that lent them a unique perspective is utterly missing from most of today’s circles. Today’s apparently most rebellious metalheads are best compared to gimmicky Marilyn Manson; those that express genuine anti-establishment ideas are ostracized by their own “fellow metalheads”. There is no extremism in extreme metal today. Today’s metalheads conflate cowardice and sheepish compliance with maturity, while they indulge in childish vices as expressions of their “freedom”. Somewhere along the road, man-made law and society’s comforts became the reality of these assimilated metalheads, and their “rebellion” is today only an echo of leftist humanism while they support a hypocritical system that fights bigotry with bigotry while denying it. They are completely locked inside the fence–inside the cave, convinced that the shadows on the wall are real, and that Plato is talking nonsense. Only the shadows are objective, they say, the shadows we can see and measure, the “sun” that is “outside” is only an idea. Those who wisely choose to isolate themselves from the distractions of the modern world, the banal entertainment and the “metal scene”‘s circle jerk are mockingly tagged as “kvlt” or “trve”. This in itself is a terrible sign that metal has been assimilated into a safe space that forces it to be politically correct in the worst cases and representing tongue-in-cheek darkness in the best of cases 6. Monastic devotion is ridiculed as strange fanaticism, while mediocre and inline thinking coupled with a superficial extroversion is expected. Metalheads are “normal” now. They have grown up into their accepted slavery. The truth is that this is what lies at the root of modern metal’s sterility – its inability to produce a new tradition because its own values have been supplanted by those of an assimilated portion of the mainstream. That those creating meaningful metal are only a handful of exceptions in a time when there has never before been a larger number of self-identifying metalheads indicates that the movement is at a loss. There was promise in the idea of war metal, but with the exception of black metal – flavoured acts like Kaeck, it is largely a dead medium. Cóndor is virtually sui generis, and the likes of Graveland and Summoning are the sole survivors and curators of a dead tradition way past its heyday. I hope you’ll excuse me for bringing Vikernes back into the conversation, but it seems to me that his movement away from metal aesthetics during the mid 1990s was only the escape of a clever sailor from a fast-sinking ship. Although we should not mix politics with the judgement of music quality, the observation that deliberate ideologies (or lack thereof, supposedly) directly affect the kind and quality of music that is produced is pretty obvious to anyone watching intently. It is therefore only honorable that Vikernes should wholly embrace the ambient aspect of his music, the side that has remained truly underground to this day. Once black metal becomes the cash cow of sell-out clowns like Abbath or Ihsahn, it no longer represents, in the eyes of the world-perception, what Burzum was about. There is no boundlessness. There is no escape from the idiocy of modern society in black metal anymore. It is only a show, it is not dangerous because it is not real, actually, it is fun. It is obvious that there is no other option but to move away from the symbol that has become a sign for ridiculousness and poserism. 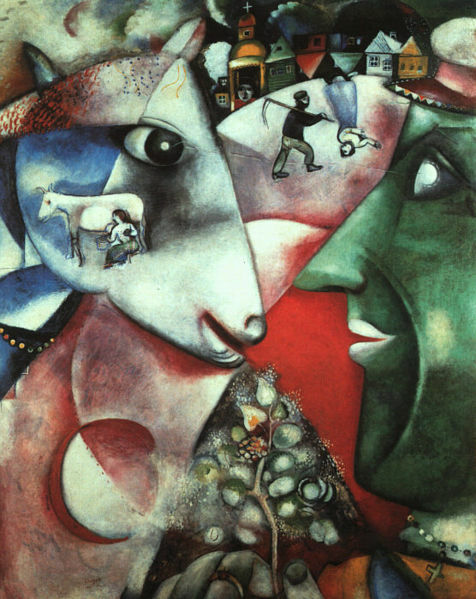 A symbol is only as good as what it transmits, and an artist cannot be excluded from context as the dreamers within the ivory towers of academia think (and contradict by trying to insert politically-correct statements in their garbage modernist compositions which hold no meaning in themselves). The solution to metal’s plight is that circles of metalheads arise who can truly think outside the constraints and mandates of what is considered “good” or “proper” by the status quo. How they achieve that is less important to metal itself than that they actually accomplish it. This is not rebelliousness for its own sake, though it could be mistaken for it, but the idea that nobody else should in control of your mind and thoughts, and that the only truth lies in our mortality, and in man’s natural multiplicity of mind which makes his reality material and psychic at once without either being more important than the other7. It is important that metal stands outside any such constraints to be what it is, otherwise it is like a caged predator: it ceases to be one as soon as it is shackled. Furthermore, metal loses its edge if it is not under pressure, because that is its whole purpose, it is a counter culture. Without nothing to counter, it simply loses its essential raison d’être. Therefore, this is not a call to the comformist to accept extremism, to understand those few who actually step outside the bounds of what is permitted. This is an encouragement to those who would attain higher understanding and see metal come alive again to become extremist in thought themselves, because in a sick and decadent world, it is those who are healthy of mind who are willing to act insanely. 1 Anyone who is new to this idea might need some clarification here. By romantic we do not mean someone who is the perfect womanizer, but more of a neo-dark romanticist, a revivalist of 19th century romanticism with a Nietzschean twist. People in our society who are commonly referred to as such are usually not so much romantics as whiny weaklings who cannot face up to reality. Metalheads do not avoid reality, they reject the images created by the delusions of modern man, who conveniently assumes their truthfulness: his own refusal to accept life in its full-fledged manifestation and the place of MAN within it. 2 It is my contention that the capacity for almost complete isolation experienced by young musicians during the late eightees and early nineties is made void today by the effects of the Internet and inescapable (for those living in urban and suburban areas) fast-paced life. 4 The reader may refer to Destruction’s Infernal Overkill from 1985 and Dead Can Dance’s Within the Realm of a Dying Sun from 1987. 5 Both Immolation’s Close to a World Below and Obscura by Gorguts are outstanding examples of this. Also, seemingly unbeknownst to the masses, well-developed death metal falls into the category of properly progressive music, while so-called “progressive death metal” (a redundant term) outfits are surface-oriented bands that produce disparaged songs as a result of poor musical judgement. A painful example of this would be The Sound of Perseverance, Death’s final album and an awkward affair that would make anyone with ears for proper music cringe in empathic embarrassment. 6 There was tongue-in-cheekness in the past, even during the golden years, but you can trace a distinction between these clowns and the best bands who used imagery to drive points home in a non-ironic way. Sincere nihilism and non-pretentious occultism stared right out of the classic albums, while today, these concepts are flat images worn on the outside only, as musicians try to cash in on people’s expectations. 7 The young science of psychology approaches these conclusions even as its mainstream-dictated values orders it to not make these findings, to try to make void the importance of the unconscious and subjective perception and will. 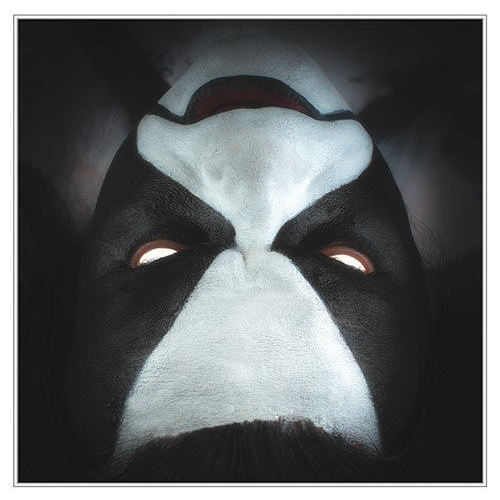 It is hard not to laugh when so much of this album plays as if Abbath were trying to sound like modern Ozzy Osbourne: Funny, rhythmic rock grooves, repeated to death while little breaks and winky variations take place (see ‘Winter Bane’ for a good laugh). Most of the remains of a black metal attitude are try-hard and unconvincing. This solo album remains largely black on the outside but poser rock inside. One of the most painful moments comes when you hear Abbath using the flanger special effect, a remnant of eighties fruitiness. This is in line with the fact that he did not seem to really try to make this a black metal album, but a clearly rock-oriented stunt with only superficial colorings that might lend the project a corpse-painted face to be recognized for. This in itself disgusts me, and should disgust anyone else who rejects the whole idea of metal for the masses, as it only spells out least common denominator dumbing down. At its best, Abbath might try to sound like the epic heavy metal of Quorthon, especially on the mid-paced tracks where there is an obvious viking air. This is the only rescuable aspect of this album, and it might be the best course for Abbath to take, embracing this epic viking metal altogether and leaving behind the black speed pretensions. That way, he might concentrate on converting these rock bits into proper metal. 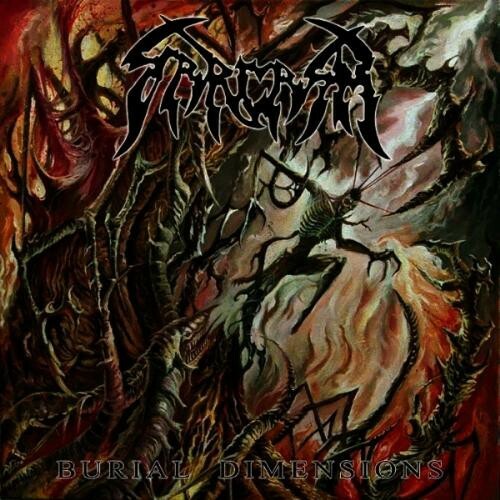 Burial Dimensions is a compilation of releases by Swedish death metal band Sarcasm, featuring six demos (released between 1992 and 1994) and a full-length album (also recorded in 1994, but first officially released in 2011). For most of this review, I’ll be talking mainly about the titular full-length album when I use “Burial Dimensions”, and not the compilation as a whole. As for the compilation as a complete package – It has cool cover art and all the demos you could want, but they sounded redundant to me, though in full disclosure, I was unfamiliar with Sarcasm before getting this release, and didn’t know any of their demos before listening to this compilation. Fans will no doubt find more value in having this large collection of demos on two CDs, even though casual listeners may not spend much time listening to them. The full-length features the best songs with the best production quality, so I focused in listening to it the most. Some listeners might be able to guess that Sarcasm are Swedish by the first riff, and most of the musical techniques they use had been well-developed by 1994, so this album is more about refining a craft than innovating. Except for a few incongruent flourishes, Burial Interludes is mostly sinewy, sometimes fluttery death metal, but melodically bears resemblance to some contemporary heavy metal-influenced black metal like Rotting Christ’s Thy Mighty Contract, with a lot of tense, enigmatic harmonies and an emphasis on keeping songs flowing smoothly throughout dynamic transitions between high- and low-intensity passages. However, due to the band’s admirable unwillingness to shift dynamics too quickly, some of the more low-tension parts in songs drag on for too long, dispelling the sinister insinuations of the more intense passages as we are lulled by comfortable but impotent consonance. These soft sections subvert the dark spirit that these songs aim to conjure, and are almost always too off-putting to ignore. Examples include a brief break for a female operatic vocal to take over a song which is otherwise made of imposing, sharp riffs, and some dull segments that showcase an unmotivated (and unmotivating) lead meandering over a melodramatic chord progression. These parts always sound insincere and drag the album down because other parts of the songs really rip into you. The production of Burial Dimensions is raw (and the demos sound considerably worse), with some gnarly analog compression and heavy reverb on everything, giving the sensation of the sound being squished and distant. This isn’t necessarily bad and allows the guitars space to grind through high and low frequencies, giving the rhythm guitars a dangerous-sounding, shredded, spiky texture. In many riffs, a second guitar will pick out a higher-register harmony that stands separate from the rhythm guitars by having a distinct echoing tone. Usually following the rhythm fairly closely, the second guitar is also sometimes used for counterpoint melodies, and at times these are very effective at bringing out the full impact of the riffs, especially when the bass guitar splits from playing in unison with the rhythm guitars and all three guitar melodies hit you from different directions in three-part harmony. Sarcasm can create an impressively broad and rich sound with the three guitars being utilized this way, but during the worst parts of the songs, the counterpoint will be played in some such off-kilter way that doesn’t synchronize intuitively with the rhythm guitars and some strange harmonies emerge, negatively altering the flow of tension that is channeled so well during the more simply-structured passages. Sarcasm sound amateur at worst, mainly due to the artificial melancholy that butts in and trips up a series of otherwise engaging riffs. Some of the better examples of riffs that really take you along for a ride begin the songs “Through Tears of Gold” and “Never After”, but frustratingly their momentum falters when one of the more flaccid, weepy progressions intrudes with clean guitars and soft synthesizer washes. “Pile of Bodies” and “Scattered Ashes” both begin with slow, chunky riffs that menace and lumber, but eventually either song gets bogged down in slowly-strummed reverb-drenched chords and leads too timid to venture far enough from the chords to inspire much sense of wonder or foreboding. All considered, this album probably never achieved wide recognition because of the incongruent dynamics which can leave you with a sense of ambiguity about the whole experience. If you listen closely, you’ll hear lots of cool-sounding riffs scattered throughout, but they are offset by the sappiness that inevitably kicks in during any song’s development. In this way the amateur nature of the band works for and against them; when they get into energetic and fearsome riffing, the sensation is both threatening and mystical, but their inability to maintain tension while focusing more on the mystical than the threatening aspect means that each burst of strong riffs is undermined by a stretch of weak soloing or ostentatious gimmicks. If you are a fan of Sarcasm, this release is right up your alley; you get some upgraded album art and a collection of demos in their original condition (not retouched or remastered, as far as I can tell). If you are not a fan but curious to see what Sarcasm are all about, I strongly recommend finding some of the music online or streaming it and giving it a close listen before making the decision to purchase. Personally, I don’t see any lasting replay value in Burial Dimensions; Sarcasm are just one of the many death metal bands that fell by the wayside during the ’90s heyday, and for good reason. If you are really itching to hear some death metal from the ’90s with lots of black metal-esque melody and heavy metal leads, compare this album to Necrophobic’s The Nocturnal Silence, which is a perfect example of how these influences (black, death, and heavy metal) can merge fluidly and efficiently. And Intestine Baalism beat these Swedes at their own game with 1997’s An Anatomy of the Beast, which does a better job than Burial Dimensions of combining raw and evil-sounding riffs with dramatically melancholic lead melodies. Akroasis stands proud as a representative of cracked out incoherent sugar high penguin of doom random technical “death” metal, and even has a cover that looks like various forms of congealed sugar melting together into a nutrition-free whole. It is truly the perfect product – a deceptively simplistic and potentially addictive recording with little in the way of more rewarding development. Obscura’s efforts on this album alternate between either random gibberish or surprisingly basic song constructions that don’t quite fit the apparent intent and would be shockingly obvious were they not surrounded by thousands of rapid fire notes like a swarm of flies around rotting meat. 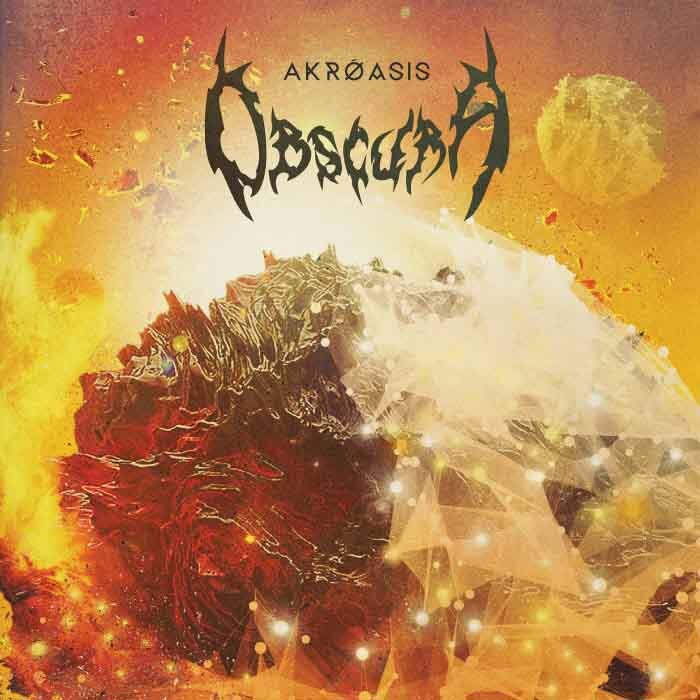 One thing that makes reviewing Akroasis particularly easier is how the first track (“Sermon of the Seven Suns”) encapsulates so much of what Obscura is attempting to do. Much has been made of what this band takes from Death, particularly from their later traditional/death fusion works, but the most patronizing is the circular song structures. “Sermon of the Seven Suns” doesn’t have a lot of content, and after an intro arguably inspired by Cynic, it awkwardly rotates between its two major sections of rapidfire blasting and slow jazz fusion jams. The band uses some basic modulation techniques to disguise the repetition, particularly in the first section, but the overall structure does little more than hide the excessively basic structure. While the band’s apparent devotion to this on this track is vaguely admirable for how holistic it is (extending even to the lyrics), it doesn’t make for particularly compelling listening once the shock factor of Obscura’s instrumental proficiency wears off. At best, they’re slightly more creative than Chuck Schuldiner was with song structures – as an FYI, pretty much everything Death put out went main section -> bridge -> repetition of main section -> who needs a coda anyways? The rest of Akroasis is more densely packed with content, but instead of employing the care and diligence required to shape these into anything coherent, it just falls into all of the typical metalcore traps, so it sounds less like an album and more like a checklist of errors. Besides what I’ve already mentioned in dissecting the first track, Obscura’s songwriting is full of aesthetic novelties (vocoders, non-metal instruments for no apparent reason) and they even incorporate a goofy breakdown in “The Monist” because apparently, metalcore musicians just can’t resist the temptation. Obscura would be a much better band if they could resist their vices, but were they to try and succeed, they would probably become completely unrecognizable to their fans. Why would they bother? The disorganized candy coated tech-death approach seems to be netting them enough fans.